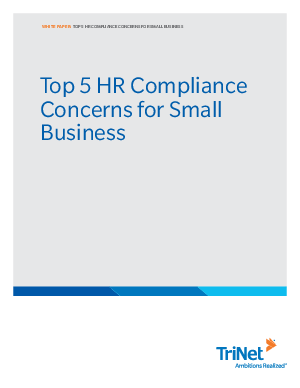 Small and medium sized companies can be so focused on core business issues that they overlook one of their most potentially serious and costly issues - human resource compliance. They often lack the time and resources to build infrastructure and processes that are beyond core business objectives. This is a must-read paper that discusses the top small business compliance concerns.